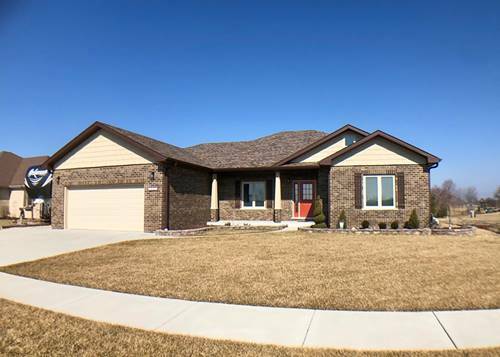 Spacious sprawling brick and framed ranch open concept, well maintained home. Large foyer with open staircase to basement wood and rod iron railing. 10 foot ceiling in the living with hardwood floors, floor to ceiling custom mahogany fireplace with granite accent. country kitchen new glass tile back splash and counters, all appliances stay. Extra wide hallways. Large master suite with hand scraped hardwood floors, private bath, double sinks, Jacuzzi tub, separate shower,walk-in-closet. first floor laundry. full basement partial finished, with 4 bedroom. 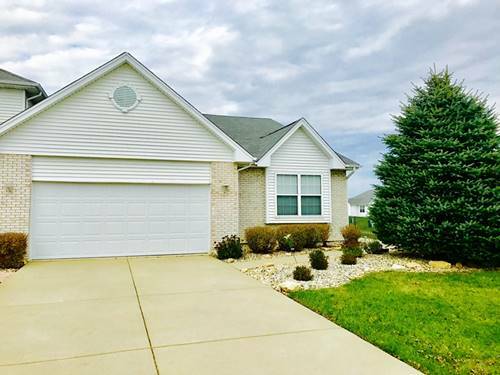 Large fence in yard, professionally landscape, custom fireplace pit, cover back porch and shed. 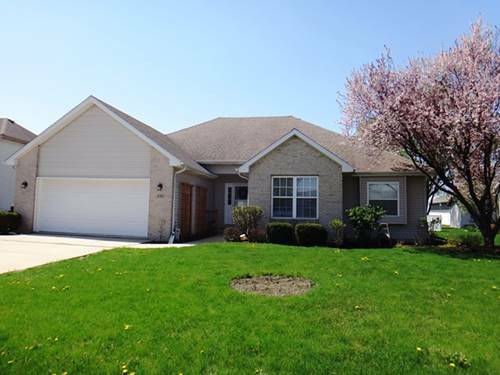 For more information about 351 Cardinal, Manteno, IL 60950 contact Urban Real Estate.